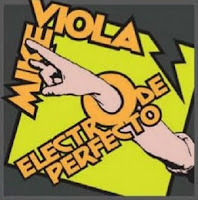 Mike Viola-Electro de Perfecto. 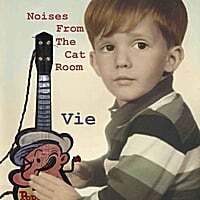 Mike Viola needs little introduction for readers of this site. From his power pop band Candy Butchers to his work with Bleu (in LEO & The Major Labels) to a budding solo career, the one constant has been great pop songs. On his latest solo effort, Viola steps back a bit to create his most assured, mature recording to date while continuing to deliver the tunes. You might not realize this from the opener, the frenetic "Columbus Day Parade", but "Get You Back" (with Semisonic's Dan Wilson on harmony and FoW's Adam Schelsinger on bass) is magical midtempo pop, and "Soundtrack of My Summer" will be the soundtrack of your autumn with its clever, easygoing melody. Elsewhere, "Inside Out" is catchy as hell, and the closer "When the Stars Against You" is a wonderfully moody take on dealing with life's adversities. You probably don't need me to tell you to buy a Mike Viola album, but if you had the slightest hesitation my advice is to just do it. Miles Zuniga-These Ghosts Have Bones. 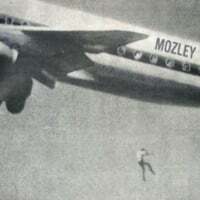 It's hard to believe that this is Miles Zuniga's first proper solo album (although he did release a record in 2006 with his side project The Small Stars), but at long last the guy responsible for my most of my favorite Fastball tracks ("Fire Escape", "Airstream", "Mono to Stereo") gets the stage to himself. And These Ghosts Have Bones is worth the wait as Zuniga's pure popcraft is on full display. The Lennonesque opener "Marfa Moonlight" is wonderful, one of 2011's most unforgettable tracks and its lyrics are the source of the album title. "Rock Paper Scissors" is an excellent rocker that would have easily fit in on a Fastball record, while "Feel it in Your Kiss" displays a faint 70s R&B influence. Elsewhere, "Working on a Love Song" is a catchy number filled with irony (the writer of the song finishes it just in time to find its subject left him), and "Junkie Hands" finds Zuniga in a late-period Beatles state of mind. A great solo debut from one of my favorite pop songwriters, and a strong candidate for 2011's top 10. 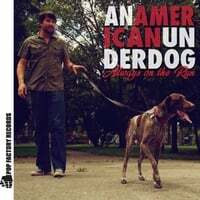 An American Underdog-Always on the Run. While you may not recognize the band name, you should recognize the man behind the band - in this case, Michigan's Andy Reed, who has followed up his excellent 2008 release Fast Forward with a backing band this time around. So while the circumstances may be different, the general sound isn't as Reed & Co. continue to mine the Jon Brion/David Grahame/Emmit Rhodes/Elliott Smith pop territory. The bright power pop of "Your Reign is Over" channels Brendan Benson, "Portland" makes nice use of keyboards in a poppy Elvis Costello-meets-Jason Falkner track, and the whimsical title track is a tour de force, sprinkling bits of McCartney, Jellyfish and Jon Brion into a pure pop confection. Reed keeps getting better with each release, and might be ready to take his place among the David Grahames and Michael Carpenters of the genre. This one's a must for my regular readers. Buttonjaw-Things You Should Know. 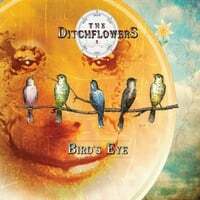 It was a pleasant surprise stumbling upon this Portland band, who have given us a fine debut disc that brings to mind The Posies and The Gin Blossoms. "Polly Nearly" is nearly a perfect album opener, a catchy, guitar-driven number with hooks to spare, "One-Track Mind" has a twisting melody and some great guitar work, and the midtempo "Breakdown" sounds like it just came off a rock-radio station from the 90s. 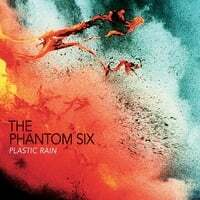 These guys know their way around a tune, and the best part is that the proceeds from the album are going to help build a safe house in Ghana for trafficking victims. Good music and a good cause, can't argue with that. 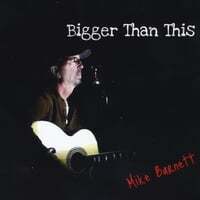 Mike Barnett-Bigger Than This. Have no fear - your FDA-required minimum daily supplement of jangle is about to be filled once again by Missouri's Mike Barnett, who's back to the solo path after his excellent 2009 album with Dennis Gurley. In case you're not familiar, the touchstone for Barnett's sound is Wilbury-era George Harrison, and opener "The Love I Have for You" is a catchy, jangly gem. "Motorcycle" treads somehwere between the 60s and 70s and recalls Bobby Sutliff, and "Life's Better" sounds like a lost Roy Orbison classic. Jangleheads, this one's for you.